OpenSSH needs no introduction. OpenSSH is a free and open source suite of security-related software based on the SSH protocol. OpenSSH provides secure network communication and tunneling capabilities. OpenSSH gives peace of mind when communicating with Linux or Unix-like server over the Internet on the insecure network. SSH is essential for both sysadmins and developers. 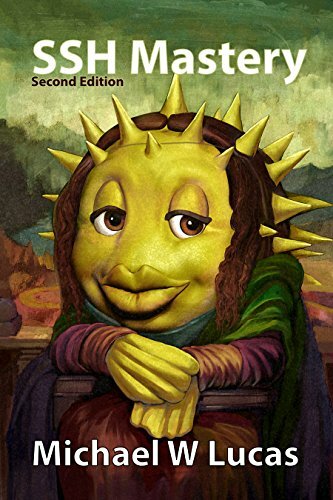 The book “SSH Mastery” (2nd ed) talks about OpenSSH server, clients, encryption, public/private keys, VPNs and other security-related network-level utilities based on the Secure Shell SSH protocol. Why port 80 (HTTP) reported as open by nmap when it is closed? There is a serious vulnerability in sudo command that grants root access to anyone with a shell account. It works on SELinux enabled systems such as CentOS/RHEL and others too. 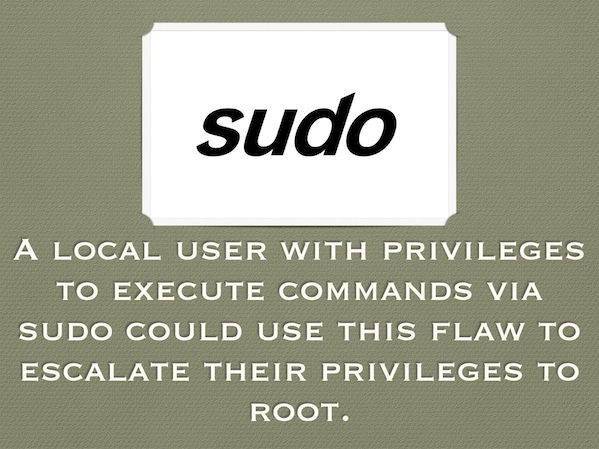 A local user with privileges to execute commands via sudo could use this flaw to escalate their privileges to root. Patch your system as soon as possible. Is my Linux server or desktop affected by WannaCrypt ransomware? I run a Debian Linux 8.x on my Desktop and Ubuntu Linux 16.04 LTS on my Linode cloud server for my personal website. I am concerned that my Linux is affected by the recent Wannacrypt malware. I am reading about a ransomware attack, what do I need to do? Should I be worried? HandBrake is an open-source and free transcoder for digital video files. It makes ripping a film from a DVD to a data storage device such as NAS boxes easier. HandBrake works Linux, macOS, and Windows. A Recent version of Handbrake for Mac and possibly other downloads at the same site infected with malware. If you have downloaded HandBrake on Mac between 2/May/2017 and 06/May/2017, you need to delete the file ASAP. HandBrake infected with a new variant of OSX.PROTON malware. The SSH (“Secure Shell”) protocol is a method for secure remote login from one system to another. Sysadmins and users use a secure channel over an unsecured network in a client-server architecture format for connecting an SSH client with an SSH server. Security ssh server is an important task. There is a tool called ssh_scan from Mozilla which act as a prototype SSH configuration and policy scanner for your SSHD. For some weird reason, I can not get my OpenVPN server to come up at boot time using systemd on an Ubuntu Linux 16.04 LTS server. I have tried a few settings but failed so far.